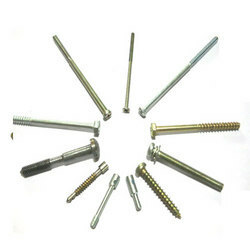 We are a leading Manufacturer of metal screws and brass and ss cover fitting screw from Bhiwandi, India. Backed by the rich industry experience, we are providing a superior range of Metal Screws. This metal screw used as thread fasteners which increases the efficiency to hold on the objects together. In addition, offered metal screw is tested on various parameters in order to deliver a flawless range from our end. Our customers can avail this metal screw from us at affordable rates. 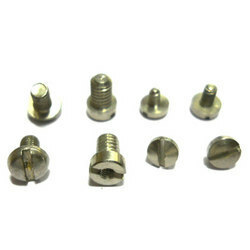 Manufacturers of Brass And S.S Cover Fitting Screw and other screws. These products are also available in accordance to varied clients’ specifications. SS / MS Pipes Fitting & SS Dairy Fittings. SS / Brass Compressor Fittings. One Touch Fittings & Tube Fittings.